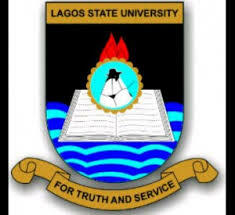 The Lagos State University Management hereby calls on graduates who are yet to collect their certificates to check through the list of certificates available for collection on the University website: www.lasu.edu.ng. The University currently has over Thirty Thousand (30,000) certificates (First Degree and Diploma) in its custody awaiting collection by graduates. The certificate collection exercise will hold between Monday, 12th November, 2018 and Tuesday, 1st January, 2019, at the University Auditorium from 10:00am to 6:00pm, excluding Saturdays, Sundays, and Public holidays. All Graduates of the Lagos State University, LASU are hereby informed to take note of the necessary requirements for the collection of their various certificates from the institution. Student’s Final Clearance Issued by Osun State College of Education, Ilesha. NOTE: Graduates who fail to collect their certificates within the stipulated period will pay a penalty of Fifteen Thousand Naira (N15,000.00) only for late collection of certificate. 1988 – 2003 graduates who have lost their school fees receipt would be required to pay Five Thousand Naira (N5,000) only.